The decalcomania Stella that became known as 'The Gambler' appeared at least as early as 1932. With the deepening depression, a good portion of the Schmidt offerings appear to transition from mahogany/spruce bodies with inlaid marquetry, to all birch boxes with decal ornamentation, and the flashy 'mother of toilet seat' pearlette bling. As per the 1932 catalog, Special price: $60.00 per dozen. 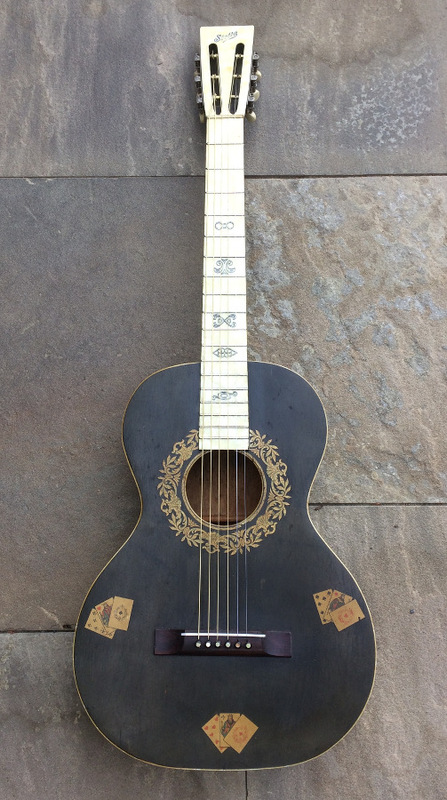 The Gambler Deluxe is easily identified by its kitchy but blues-approved playing card decals, and has become a cult favorite among the fans of catalog guitars, although very few have actually surfaced and remain quite the rare find today, in any condition. 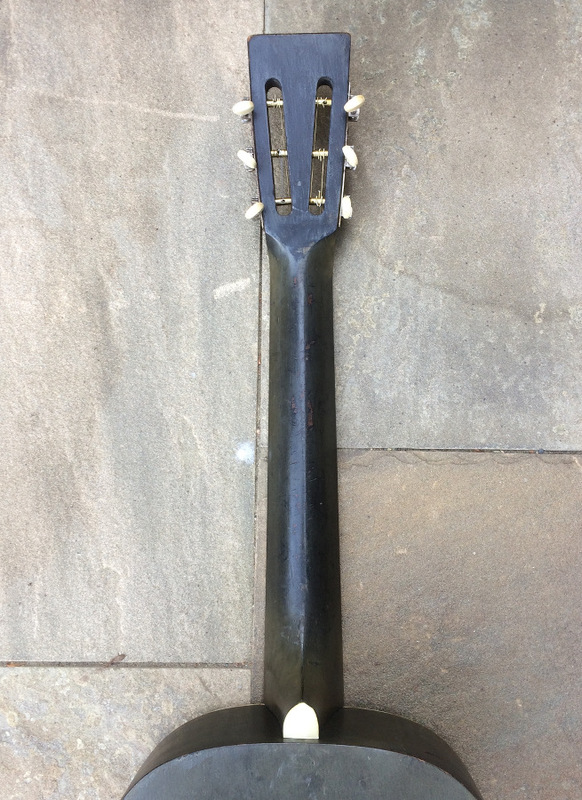 This example is all original with only a recent neck set and new saddle needed. The tone has the birch-box, ladder-brace vibe, and is among the best sounding of this configuration that we've played .. loud, boxy and comes right at you like an old mono car radio.